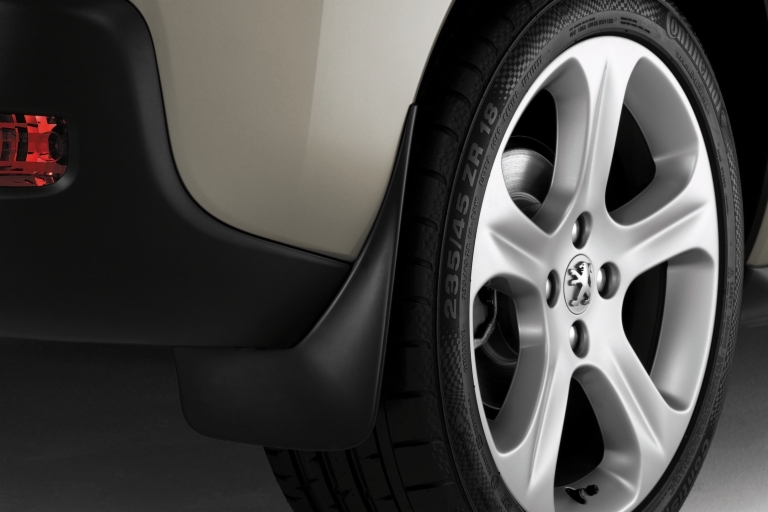 Homepage > PEUGEOT 3008 FRONT STYLED MUD FLAPS [Fits all 3008 models] 1.6 THP 2.0 HDI NEW! Designed to complement the lines of the vehicle whilst protecting the vehicle’s bodywork from damage that can be caused by road debris. Supplied in matt black plastic , they can, if required be painted body colour for that extra special look. Product Description: Designed to complement the lines of the vehicle whilst protecting the vehicle?s bodywork from damage that can be caused by road debris. Supplied in matt black plastic , they can, if required be painted body colour for that extra special look.